and cognitive function in some older adults: study. source: Krikorian R, et al. Blueberry Fruit Supplementation in Human Cognitive Aging. Meeting of the American Chemical Society. 2016. Categories: Alzheimer's disease, blueberries | Tags: Alzheimer's disease, Anthocyanins, blueberries, brain, cognition, dementia, flavonoids, memory | Permalink. Boost your brain power and keep your cognitive processes running smoothly into old age with these top ten brain foods. Drizzling your salad with olive oil or using it to sauté veggies may help preserve your brain’s overall health and function as you age. A 2010 study found that diets rich in monounsaturated fats, found in olive oil, can improve scores on test of overall cognitive function as well as verbal memory. Like olive oil, avocados contain monounsaturated fats, which also contribute to proper blood flow to the brain and lower blood pressure. Since high blood pressure is a significant contributor to cognitive decline, eating foods like avocados that lower your risk of hypertension is a great way to ward off age-related brain power shortages. Rich in Omega-3s, sardines give your brain the fatty acids it needs to build and maintain cell membranes. Diets containing high amounts of Omega-3s have also been associated with improved memory and focus, as well as a lower long-term risk of dementia. These fiber and protein-rich nuts contain another type of Omega-3 not found in animal sources: alpha-linolenic acid, also known as ALA. Plus, just about every type of nut, including walnuts, is rich in vitamin E, which can improve blood flow and ensure that your brain is getting the oxygen it needs to work efficiently. Popeye may have had the right idea. Researchers at Harvard Medical School found that women who consumed more green leafy vegetables over 25 years exhibited fewer signs of age-related cognitive decline than those who avoided veggies like spinach, kale, and Brussels sprouts. Women who drink coffee have a far lower risk of developing depression than those who don’t, according to a study in the Journal of the American Medical Association. Although the effects haven’t been studied in men, it’s likely that this benefit translates to them, too. If you’re not a fan of coffee, freshly brewed tea is an excellent alternative. Lower levels of caffeine may still protect the brain from depression and boost focus and memory without the risk of anxiety and jitteriness, while the antioxidants in tea improve blood flow to the brain. Your brain runs on glucose, which means that maintaining steady levels of blood sugar help your brain to work better. Beans provide a steady source of energy to your brain, along with protein, fiber, and minerals that keep the rest of your body functioning well. Since they’re frequently touted as an antioxidant-rich superfood, you may be getting somewhat bored of blueberries. But this little fact might reinvigorate your love for this fruit: a study in mice found that a blueberry-enriched diet can not only prevent, but can actually reverse memory loss related to object recognition. When it comes to immediate cognitive decline, dehydration is a serious culprit. In fact, when you don’t drink enough water, your brain actually shrinks. This means that your brain works far less efficiently than when it is hydrated, likely leading to impaired executive functions. Have any other tips for good brain health? Share them in the comments section! Categories: avacado, beans, blueberries, brain, coffee, diet, olive oil, Omega-3, tea, walnuts, water | Permalink. Simply put, your brain likes to eat. And it likes powerful fuel: quality fats, antioxidants, and small, steady amounts of the best carbs. The path to a bigger, better brain is loaded with Omega-3 fats, antioxidants, and fiber. Give your brain a kick start: eat the following foods on a daily or weekly basis for results you will notice. Start each day with a mix of high-quality protein and beneficial fats to build the foundation for an energized day. Avocado with scrambled eggs provides both, and the monounsaturated fat helps blood circulate better, which is essential for optimal brain function. Worst alternative: a trans-fat-filled, sugar-laden cream cheese Danish. Green it: you don’t need to buy an organic avocado – conventional is fine. But make sure your supplementary protein is free range, cage free, or organic. These delicious berries are one of the best foods for you, period, but they’re very good for your brain as well. Since they’re high in fiber and low on the glycemic index, they are safe for diabetics and they do not spike blood sugar. Blueberries are possibly the best brain food on earth: they have been linked to reduced risk for Alzheimer’s, shown to improve learning ability and motor skills in rats, and they are one of the most powerful anti-stress foods you can eat. Avoid: dried, sweetened blueberries. Green it: buy local and organic, and be mindful of seasonality. When blueberries are out of season, opt for cranberries, grapes, goji berries, blackberries or cherries to get your brain boost. 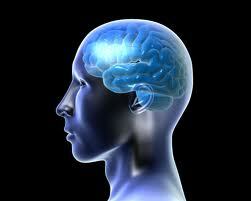 Omega-3 fatty acids are essential for your brain. These beneficial fats are linked to improved cognition and alertness, reduced risk of degenerative mental disease (such as dementia), improved memory, improved mood, and reduced depression, anxiety and hyperactivity. Wild salmon is a premium source, but we’ll highlight a few other sources on this list for vegetarians and people who just don’t like salmon. Avoid farmed (read: sea lice infested) salmon. Green it: the California salmon stock is threatened, so choose wild Alaskan salmon only, and eat small portions no more than twice a week. Nuts contain protein, high amounts of fiber, and they are rich in beneficial fats. For getting an immediate energy boost that won’t turn into a spike later, you can’t do better than nuts. The complex carbs will perk you up while the fat and protein will sustain you. Nuts also contain plenty of vitamin E, which is essential to cognitive function. You don’t have to eat raw, plain, unsalted nuts, but do avoid the ones with a lot of sweetening or seasoning blends. Filberts, hazelnuts, cashews, and walnuts are great choices, with almonds being the king of nuts. For those avoiding carbs, macadamia nuts are much higher in fat than most nuts. By the way, peanuts just aren’t ideal. Aside from the fact that many people are allergic, peanuts have less healthy fat than many other types of nuts…maybe that’s because peanuts are not actually a nut! They’re still much better than a candy bar, however. Green it: try to choose organic, raw nuts, and if you can’t get those, at least avoid the tins of heavily-seasoned, preservative-laden nuts that may have taken many food miles to get to your mouth. Try sunflower seeds, sesame seeds, flax seed, and tahini (a tangy, nutty sesame butter that tastes great in replacement of mayo and salad dressing). Seeds contain a lot of protein, beneficial fat, and vitamin E, as well as stress-fighting antioxidants and important brain-boosting minerals like magnesium. Green it: Again, just look for organic and try to avoid the highly-seasoned, processed options. In general, things like fruits, vegetables, seeds and nuts are pretty low-impact, environmentally speaking, in comparison to meats and cheeses. Opt for the fruit over the juice so you get more fiber. Pomegranates contain blueberry-like levels of antioxidants, which are essential for a healthy brain. Your brain is the first organ to feel the effects of stress, so anything you can do to offset stress is a smart choice. Green it: pomegranates are seasonal and not generally local for most of us, so enjoy sparingly and rely on other berries like acai, grapes and cherries when you can’t get this fruit. Garlic – the fresher the better – is one of the most potent nutritional weapons in your arsenal. Eat it as much as your significant other can stand. Not only is it fabulous for reducing bad cholesterol and strengthening your cardiovascular system, it exerts a protective antioxidant effect on the brain. It makes life easier, but don’t even think about buying the chopped or peeled garlic. Nutritional benefits = zero. Green it: just choose organic, and go for local if you can get it. Spinach, kale, chard, romaine, arugula, lolla rossa – whatever green you like, eat it daily. Green, leafy vegetables are high in iron (slightly less “green” iron sources include beef, pork and lamb). Americans tend to be deficient in iron, which is too bad, because the deficiency is linked to restless leg syndrome, fatigue, poor mood, foggy thinking, and other cognition issues. Green it: choose organic, and shop at your farmers’ market or order from a local CSA. Leave out the red meat a few days a week and rely on a big, well-seasoned green stir fry or salad. Cacao nibs are among the top five most powerful brain foods, right next to wild salmon and blueberries. Green it: as long as it’s fair trade and organic, it’s green. Go figure, but tomatoes don’t usually make the brain-boosting food lists. Tomatoes contain lycopene, an antioxidant that is particularly good for your brain – it even helps prevent dementia. You have to cook tomatoes to get the lycopene. But this does mean that ketchup is good for your brain. Although because of the sugar in it, you should look to other sources for most of your lycopene intake, such as fresh tomato sauce. Green it: try to eat tomatoes that are local and get your lycopene in vitamin form when tomatoes aren’t in season. You’ll know when that is – the tomatoes will be pale, tasteless, and pithy. Though we know the brain does need a small, steady supply of glucose, don’t overlook fat. Studies have consistently shown that a low-fat diet is not the health boon we hoped it would be (remember the 90s low-fat craze?). In fact, avoiding fat can increase foggy thinking, mood swings, and insomnia. A diet rich in healthy fats is essential to clear thinking, good memory, and a balanced mood. Your brain is made of fat, after all. One study of men found that those who relied on the processed vegetable fats found in salad dressings, snacks and prepared foods had 75% higher rates of mental degradation (dementia, memory loss) than men who ate healthy fats. Most processed foods and fast foods use corn oil, palm oil, soybean oil and other Omega-6 fats. You don’t want Omega 6 fats. Even saturated fat is safer than Omega 6’s. Choose healthy fats such as those present in olive oil, nut butters, nuts and seeds, flax, oily fish, and avocados. Avoid processed fats found in pastries, chips, candy bars, snacks, junk food, fried foods and prepared foods. Eating the wrong fat can literally alter your brain’s communication pathways. Green it: look for organic, local, or farmers’ market options when it comes to your food. You should also explore herbal remedies for mood swings and brain health. You have to brew tea fresh or you won’t get the benefits of all those catechines (antioxidants) that boost your brain. Because tea has caffeine, don’t have more than 2-3 cups daily. Green it: buy organic, fair trade loose leaf or packets to support sustainable business practices. Categories: avacado, blueberries, brain, cacao, diet, garlic, nuts, olive oil, pomegranate, salmon, seeds, tea, tomatoes, vegetables | Permalink. Categories: blueberries, diet, fruit | Permalink. Categories: blueberries, cherries, cloves, coffee, fish, flax, garlic, ginger, grapes, honey, oats, pain, peppermint, pineapple, turmeric, water, yogurt | Permalink.